So, if you're like most people, you hear Darjeeling and you think tea. As well you should! Darjeeling is best known for the tea, and also known for the best tea. The finest tea, in fact, whose flavor is not replicated anywhere else in the world. 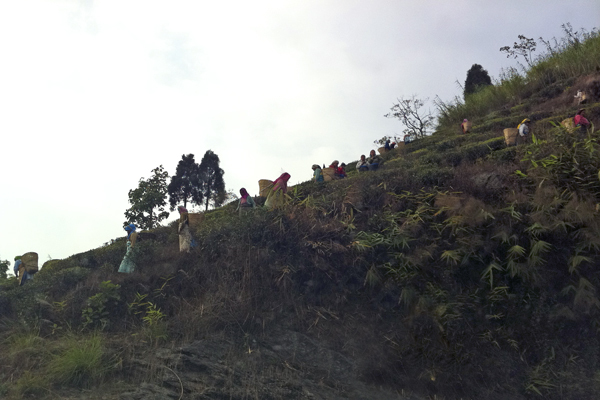 Darjeeling tea plants cover the slopes of this Himalayan region of West Bengal. I managed a glimpse of the tea pickers with my iphone from the car as we rounded a bend - as you can see the tea plants cling to the hillsides....so do the roads, and apparently, so do the tea pickers! But tea isn't the only thing you'll find to taste in Darjeeling. They also grow plenty of other good stuff, namely, spices (including saffron), nuts, and berries. 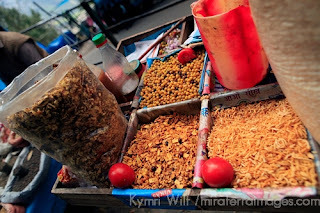 These food vendors are perfectly situated along the long walk up the hill to get to the Himalayan Mountaineering Institute and the Darjeeling Zoo, well worth the effort even on the hottest of days. Yes, those peanuts and berries were wonderfully familiar...and delicious! 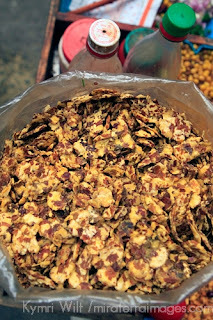 But what really got my attention was this roadside snack mix I saw being served up in rolled paper cones (like above), and being gobbled up by local kids on their walk home from school. Basically, you get a scoop of this stuff, to which you can add an optional mix of fresh chopped onions, peppers and cilantro. Then, to seal the deal, fresh lime juice is squeezed all over it! I couldn't tell you exactly what it was - kind of breakfast cereal flakes with the crunchy texture and flavor of corn chips. But when you add the lime juice (a must! ), and the fresh onion/cilantro mix (I know, I know, last thing you want to eat from a street vendor in India - but I didn't get sick, I promise! ), you've got yourself a perfect taste of Mexico right in the heart of the Himalayas. For this Californian, a taste of home was more than welcome, and such a delightful break from Indian. Only thing missing was guacamole! 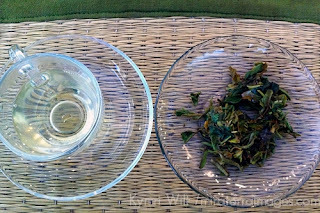 So there you have a taste of what there is to taste in Darjeeling. I can't stop thinking about this snack mix, it's delightfully addictive, and I'm craving it now! Almost to the point of begging anyone who might be headed to Darjeeling to bring me back a sack of it. Or better yet, if anyone knows how those flakes are actually made and what goes into them, please share a recipe! This post was prepared especially for sharing on Wanderfood Wednesday - be sure to follow the link to find other wanderful foodies and blogs about food! These are lovely photos of a fascinating area. Even the one you managed to shoot with your iPhone in a passing car...impressive! This looks my dad's dream come true. 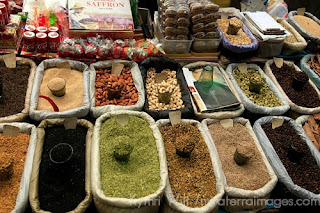 He works with these spices all the time, as a hobby chef! 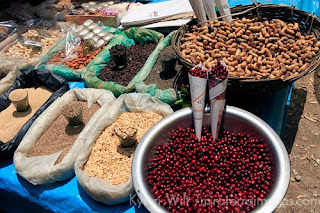 But he would go nuts being at this market. I've visited a coffee plantation before but never a tea one. 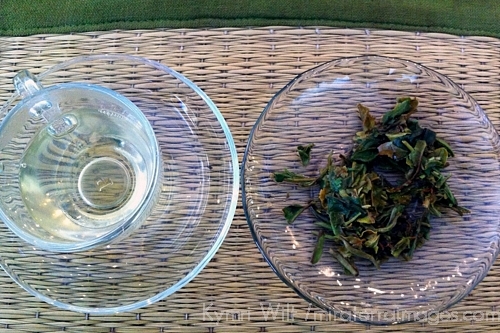 It sounds like a good way to learn more about tea if you have a good guide. Gorgeous, colorful photos. Interesting place. Thanks! What a delicious post! And educational. I didnt' know about their tea. Thanks for sharing!